An aggressive strain of avian flu - the largest to appear in the United States in over 30 years - has forced Midwestern chicken and turkey producers to cull over 15.1 million birds since early March. Most of these losses have occurred since mid-April. The virus, which doesn't appear to pose an immediate threat to humans, has spread to 10 states. Iowa and Minnesota have been hit the hardest. The economic impact of the virus - called H5N2 -has been severe. Mexico and China have halted the importation of US birds and eggs. 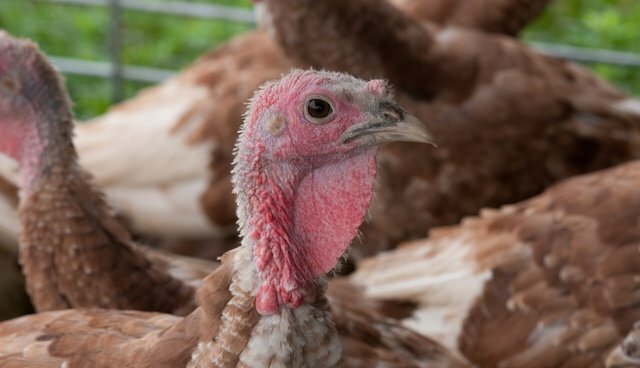 Hormel Food Corps, the nation's second largest supplier of turkey meat, highlights "significant challenges" as it forecasts lower earnings. Contract growers, who have little recourse under such circumstances, are stuck with mortgaged farms and no income. At a meeting in Minnesota some of these growers broke down in tears. "Are we done?," Iowa's Secretary of Agriculture Bill Northey asked about the flu. The answer, it seems, is no. Not even close. How should consumers interpret this situation? The conventional critique of such epidemics is that they result from industrial over-crowding - cramming too many birds into a tight space. GRAIN, a non-profit organization dedicated to sustainable agriculture, articulated this position during a 2006 H1N2 virus outbreak. The virus, it contended, was "essentially a problem of industrial poultry practices." The proper response, it implied, was obvious: a transition to non-industrial, pasture-based management. Commenting on the current outbreak, Wayne Pacelle, CEO of the Humane Society of the United States, agreed with this perspective, writing that "the root cause" of the bird flu is "inhumane, overcrowded conditions in the poultry industry. A direct, causal relationship between avian flu and industrial conditions would be fantastic news. Most notably, it would allow us to begin systematically fighting the disease through a surefire method: providing chickens and turkeys more space to roam. Unfortunately, the etiology of avian flu doesn't support this connection. The problem of avian flu, it turns out, transcends farm size and stocking density and cuts right to the core of animal domestication per se.